SOME PANELS WAY HAVE SOME SCRATCHES TO THE PAINT COATING, UNFORTUNATELY THEY COME IN TO USE LIKE THIS. THE COATING ON THE PANELS IS TO PROTECT THEM AGAINST OXIDISATION WHILE ON THE SHELF, YOU WILL NEED TO RUB THEM DOWN AND PRIME THEM BEFORE PAINTING. AB31 - 38, 41 - 45, 51 - 56 / BT1 - 49, 51 - 58, 61 - 82, 90 - 94 / FK19 - 21 / GY1 - 9 / HS1 - 9 / IM1 - 9 + IM99 / IV1 - 28, 30 - 36, 40 - 49, 51 - 56, IV63 / JE1 - 4 / KA27, KA28 / KW1 -8, 10 - 17 / PA20 - 38, 41 - 49, 60 - 78 / PH1 - 10, 15 - 26, 30 - 44, 49, 50 / TR21 - 25 / ZE1 - 3 AND PO31 - 41. J & K SUPPLIES LTD CLASSIC MINI SPECIALISTS OFFICE HOURS: MONDAY - FRIDAY 8:30AM - 5:30PM. 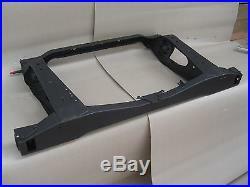 The item "CLASSIC MINI REAR SUBFRAME DRY TYPE FOR PRE 1991 MODELS 40-10-007" is in sale since Wednesday, December 17, 2014. 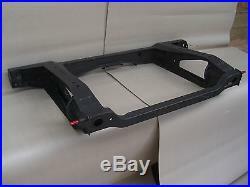 This item is in the category "Vehicle Parts & Accessories\Car Parts\Suspension & Steering\Subframes & Mounts". The seller is "jandksupplies" and is located in Burnley. This item can be shipped worldwide.